Denver, CO – Despite mild fall temperatures until the past week and considerable economic volatility, “on-the-books” occupancy for the upcoming six-month winter season (November through April) is currently running ahead of the same time last season. 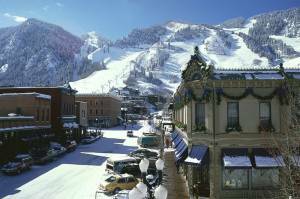 From the most updated data released on Friday by Denver-based DestiMetrics, an organization that tracks mountain lodging bookings in 19 western mountain resorts in six U.S. states, on-the-books occupancy for the coming ski season as of Oct. 31 is up 7.4 percent and overall revenues are up 13.9 percent for the six-month period compared to the same time last year. The data revealed increases in every month of the ski season except April. The monthly Market Briefing also reported that in wrapping up the third record-breaking summer season (May through October) for mountain destinations, occupancy for the month of October for the entire western region was up 13.7 percent compared to October 2013 while revenues enjoyed a boost of 13.9 percent. “Summer is clearly a big growth opportunity for mountain resorts as we saw occupancy for the entire summer climb 6.3 percent and overall revenue break 10.9 percent this year over the 2013 record-setting year,” reported Garrison. “Far West resorts are better established for summer business but we are seeing the Rocky Mountain resorts expanding their summer products and marketing to capture the potential of this promising season including the previously underrated ‘shoulder’ months of September and October. With the passage of the new Ski Area Recreational Opportunities Act which grants more latitude to how resorts use their land during non-ski months, we expect to see summer business continue to grow,” he added. The ongoing positive news from the economic sector was also cited for the continued steady growth in mountain bookings. Despite some dramatic swings in the Dow Jones Industrial Average during the month of October shaken by the Ebola crisis and global political situations, the Index ended the month up two percent from September at 17,390.53, setting an all-time monthly high. A 5.5 point rebound in the Consumer Confidence Index from September’s drop was attributed, in part, to a more positive attitude by consumers about new job creation and for the first time in many years, earning potential. Employers added 214,000 new jobs during the month, which helped bring the national unemployment rate down another basis point to an overall 5.8 percent unemployment rate. Foley also pointed out that recent declines in crude oil prices are translating into savings at the gas pump and in the consumer marketplace and the timing of those fuel-related savings may provide a boost to winter vacation bookings. As the winter ski and snowboard season moves into full swing and resorts roll out marketing plans and incentives, the DestiMetrics staff acknowledges that the weather will have a significant impact on bookings in the next few weeks and into the New Year.